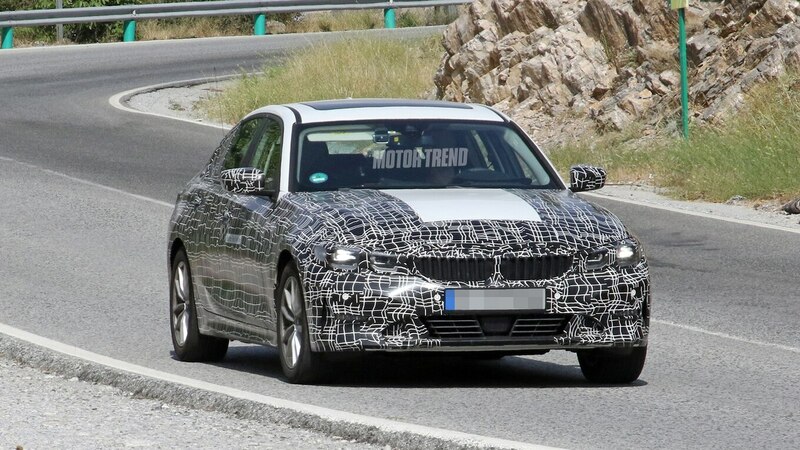 A few years ago, in a somewhat controversial move, BMW added a plug-in hybrid to the 3 Series lineup. Using a 2.0-liter turbo and an electric motor, the 330e makes 248 hp and 310 lb-ft of torque. 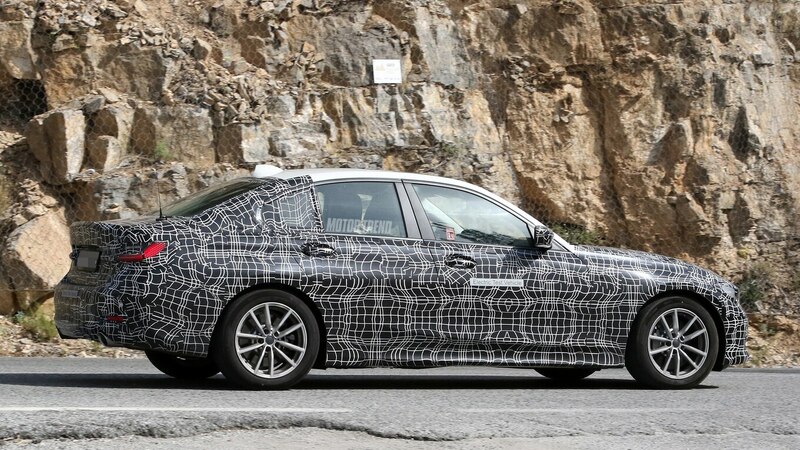 With the 7.6-kWh battery fully charged, the hybrid 3 Series can travel up to 14 miles (22 km) on electric power alone. 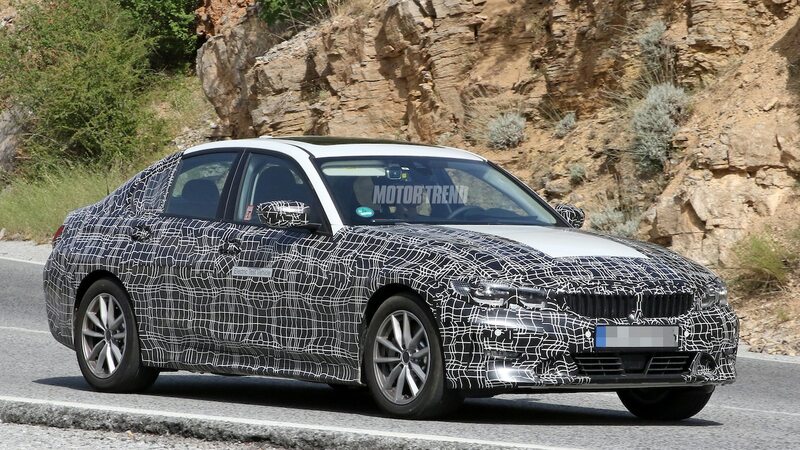 But when the redesigned 3 Series finally goes on sale, it looks like BMW plans to go even further and offer a fully electric version. 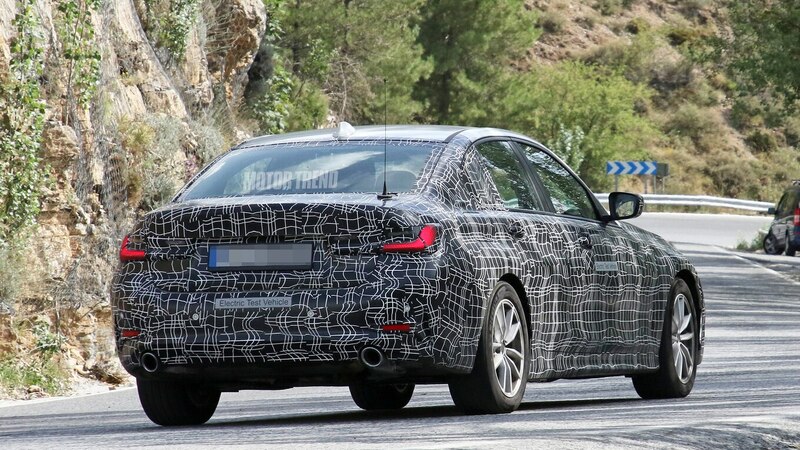 At first glance, the prototype shown here appears to be a regular 3 Series, but if you take a closer look, the “Electric Test Vehicle” stickers give it away. 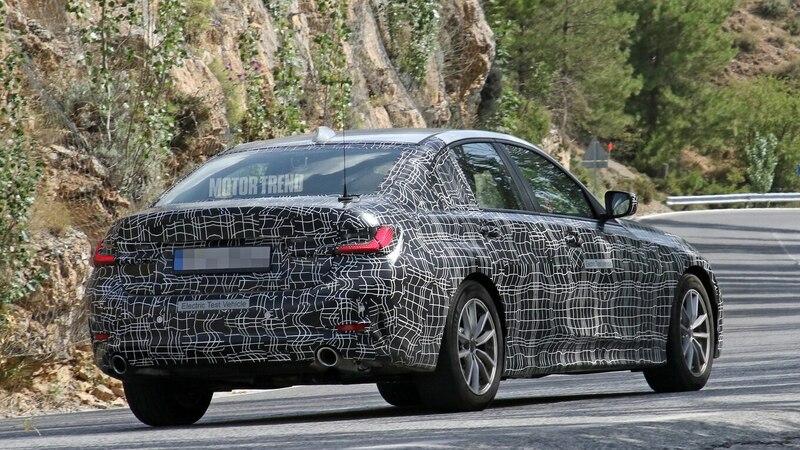 Yes, the car has dual exhaust tips, but according to our spy photographer, they’re completely fake. This 3 Series is a pure EV, he says. 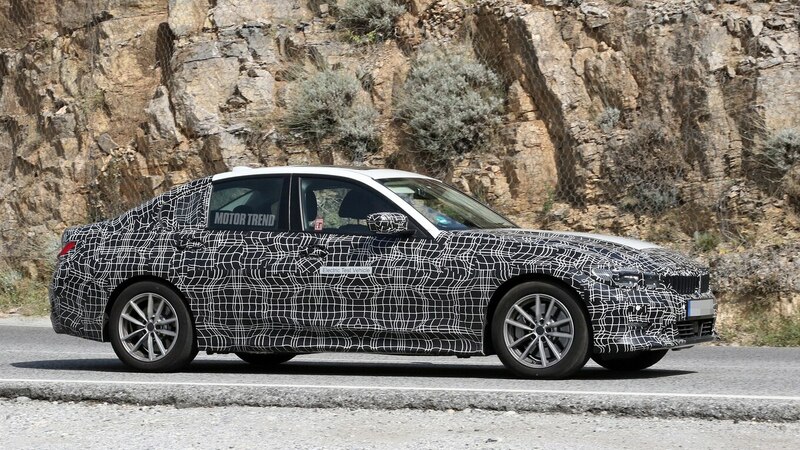 We already knew BMW planned to introduce 12 electric vehicles by 2025, but so far, it’s done a good job of keeping a lid on production plans and vehicle specs. 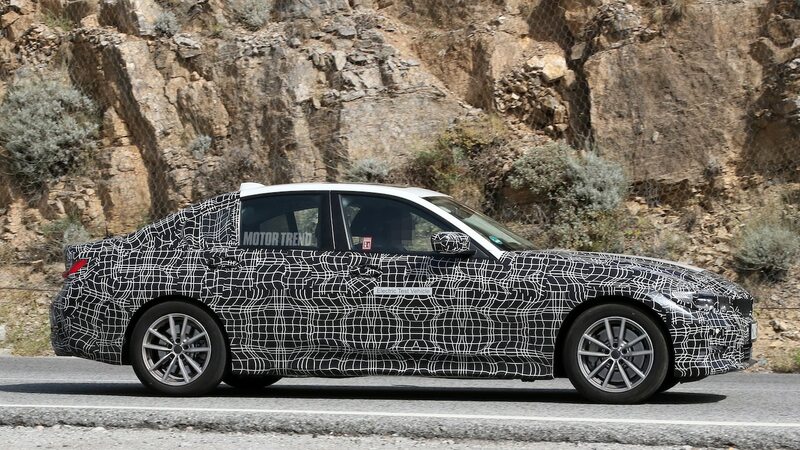 As a result, we have very little info on how many motors and what size battery pack the 3 Series EV will get. Thankfully, BMW did provide at least one useful clue. 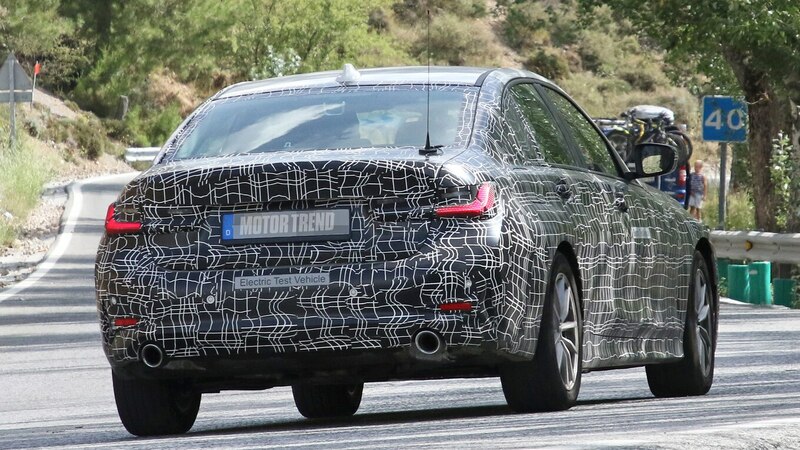 The prototype seen here was out testing with a Tesla Model 3, suggesting that BMW will position the electric 3 Series as a direct competitor. 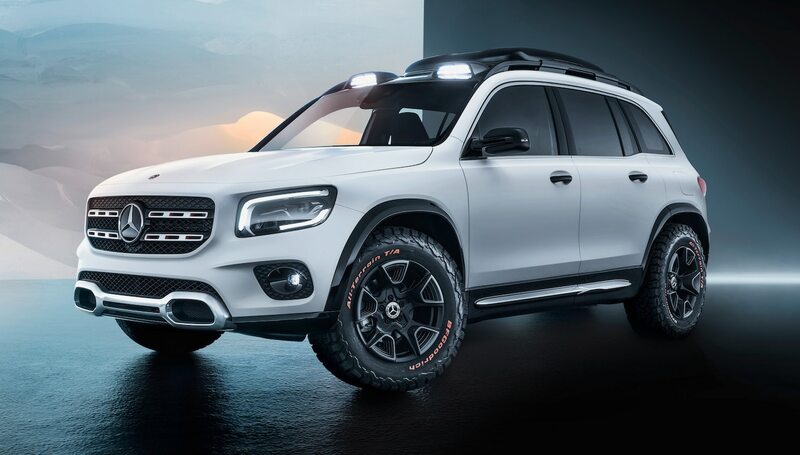 To do that, it will need at least a 200-mile (322-km) range. 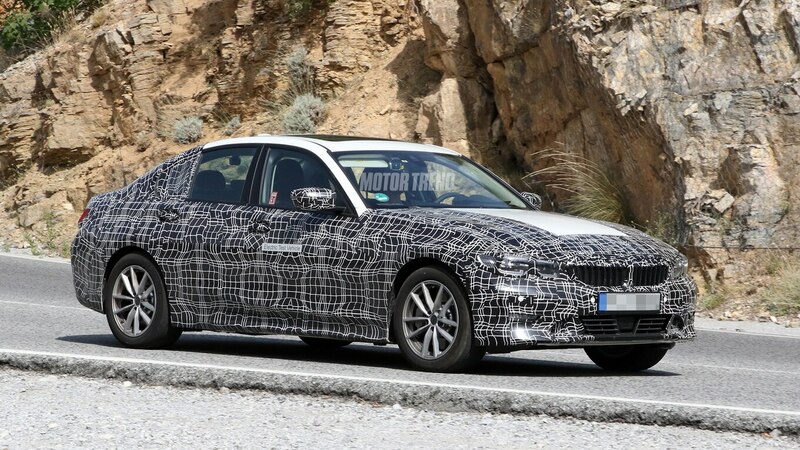 According to a few unnamed sources inside BMW, though, the range will actually be closer to 300 miles (483 km), making it more of a long-range Model 3 competitor. 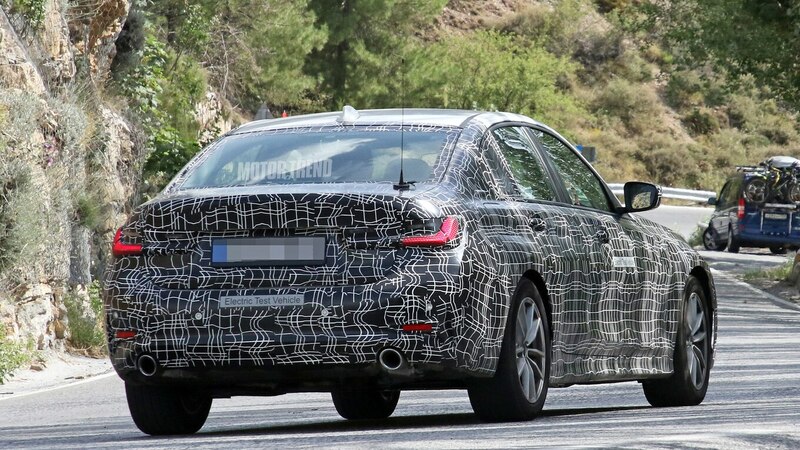 Considering how production-ready this prototype looks, BMW should be close to the official reveal. 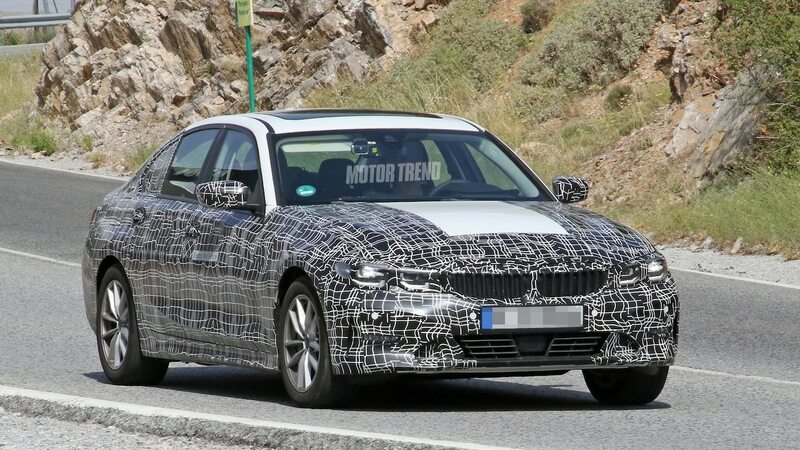 From what we hear, the new 3 Series is coming to the Paris motor show in October. 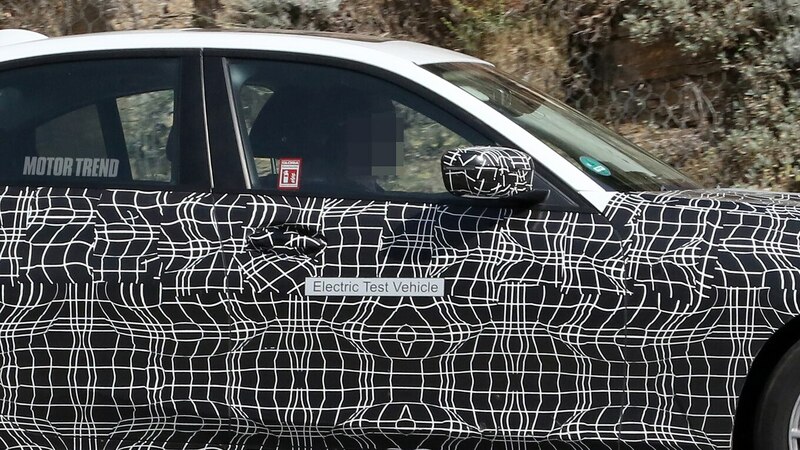 Whether the electric version will be announced at the same time, however, remains to be seen.